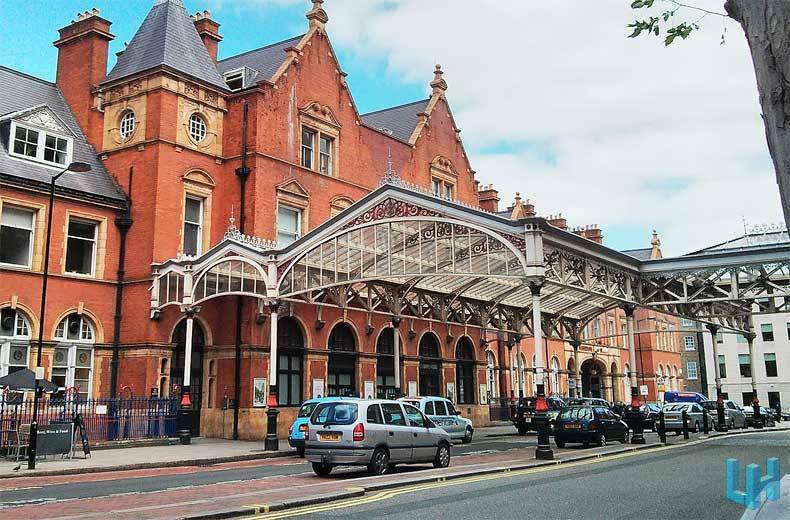 Marylebone Station is a grade II listed ‘National Heritage’ building and home to London’s fastest growing rail hub. 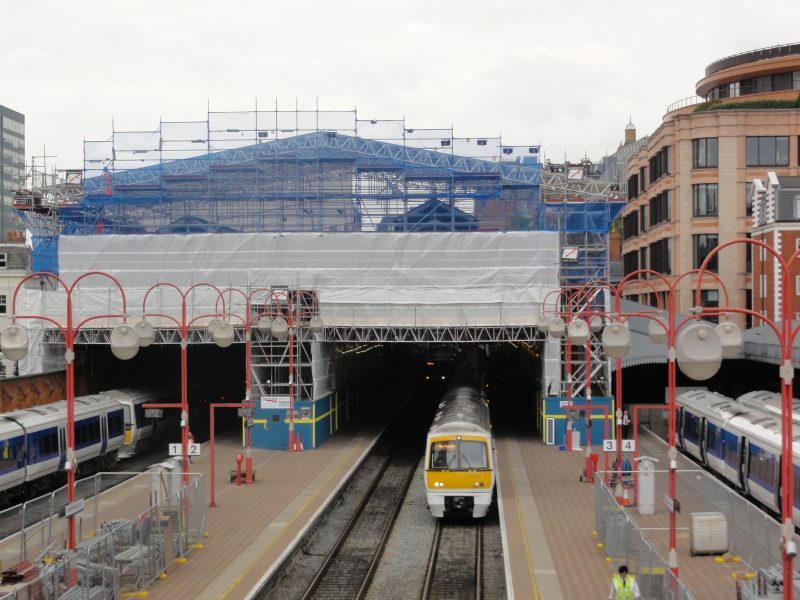 This complex project required a solution that would provide access to replace and strengthen the roof’s steel structure, remove asbestos and install three times more glass to improve light and aesthetics, whilst the station remained open and fully functional with commuters. In answer to this challenging brief PHD produced a bespoke rolling crash deck and mobile temporary rooﬁng solution saving equipment, erection time and precious site space. A floating platform was created allowing trains and commuters to still use the platforms below. 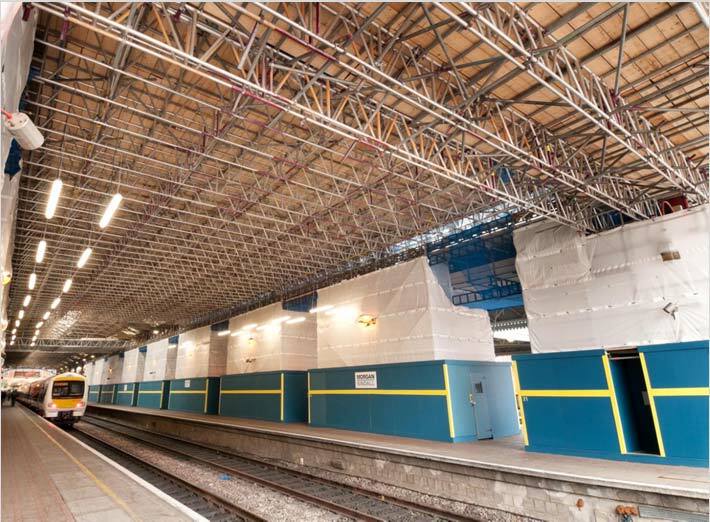 Marylebone’s two apex roofs where then covered with a single 800 sqm temporary rooﬁng structure providing efﬁcient weather protection. A birdcage ﬁtted with castors rested on the crash deck providing a fully mobile structure to access the apex roof from the underside. This created total control with the roof and deck able to move above and below while the working area itself effectively remained stationary. This solution was vastly more effective than covering the whole area in scaffold or using a traditional erect and strike technique. 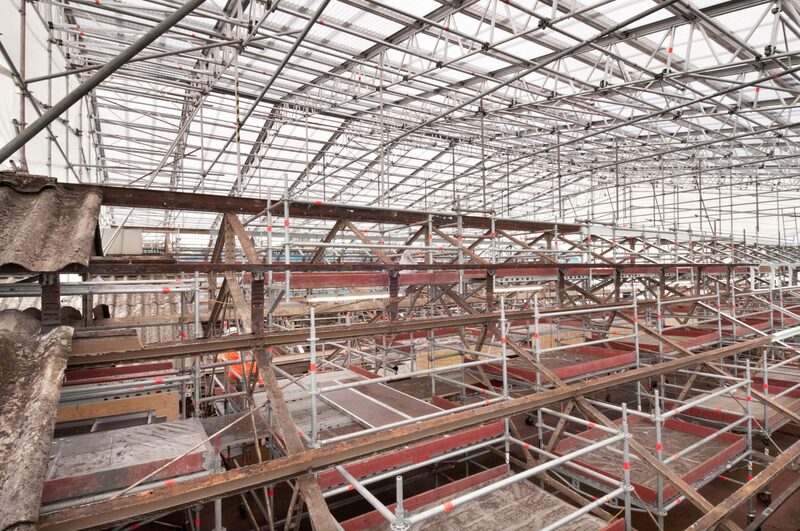 This bespoke solution reduced project timeframe by 6 months. PHD’s installation at Marylebone Station remains the largest mobile cassette span in Europe.